ESET® announces that its exclusive partner in Japan, Canon IT Solutions Inc., has won the prestigious Nikkei Computer Customer Satisfaction Survey 2015-2016 for the third year in a row. It won first place in both of the IT security categories - Client System Management and Server/Network Management System. The Nikkei Computer Customer Satisfaction Survey 2015-2016 was conducted from May to June 2015 and polled companies and organizations throughout Japan. The survey was carried out by Nikkei Business Publications, Inc., one of biggest contents provider in the country. “Being the number one in Japan three years in a row means a lot for a Europe-based company. It says that ESET continues to keep its promise to deliver next-generation IT security products with trademark low system footprint and multi-layered protection to meet our customers’ requirements,” said Ignacio Sbampato, Chief Sales and Marketing Officer at ESET. The award was the third successive recognition for ESET’s partner in Japan, Canon IT Solutions Inc.
“We have been proud partners with ESET since 2003 and are really excited to have won the Nikkei Computer Customer Satisfaction Survey for the third year in a row. We thank Nikkei Business Publications for this honor and together with ESET we are committed to providing our clients in Japan with the very best service this year,” said Noboru Yamamoto, Group Executive of the Product Planning Center at Canon IT Solutions Inc.
ESET’s success is based on delivering outstanding detection rates*, minimum-to-no false alarms**, low system footprint, the highest security***, and products which receive consistently excellent independent reviews****. 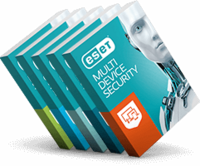 In 2015 ESET introduced a completely redesigned and re-engineered range of next-generation business security products, and improved its consumer security products. ESET’s business security products offer maximum proactive protection with low impact on company infrastructure, and are fully manageable via the new ESET Remote Administrator. ESET Endpoint Security solutions now include a wealth of new features, such as Botnet Protection, Exploit Blocker and Vulnerability Shield. A key innovation in ESET’s flagship consumer product, ESET Smart Security 9, is Banking & Payment Protection, which secures users’ personal and financial data. Learn more about ESET Technology and product portfolio by visiting www.eset.com. *ESET is the only vendor to neither miss nor fail a single VB100 test since June 2003**ESET detection returned no false alarms in the latest False Alarm Test by AV-Comparatives. ***ESET is the only vendor that reached 100% in both the 2014 and 2015 Self-Protection tests by AV-TEST. ****AV-Comparatives, an independent testing organization called ESET’s business products outstanding in its annual IT Security Suites for Small Businesses Review.